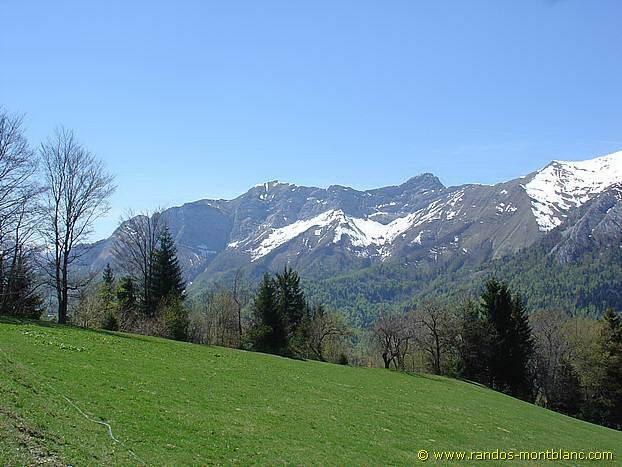 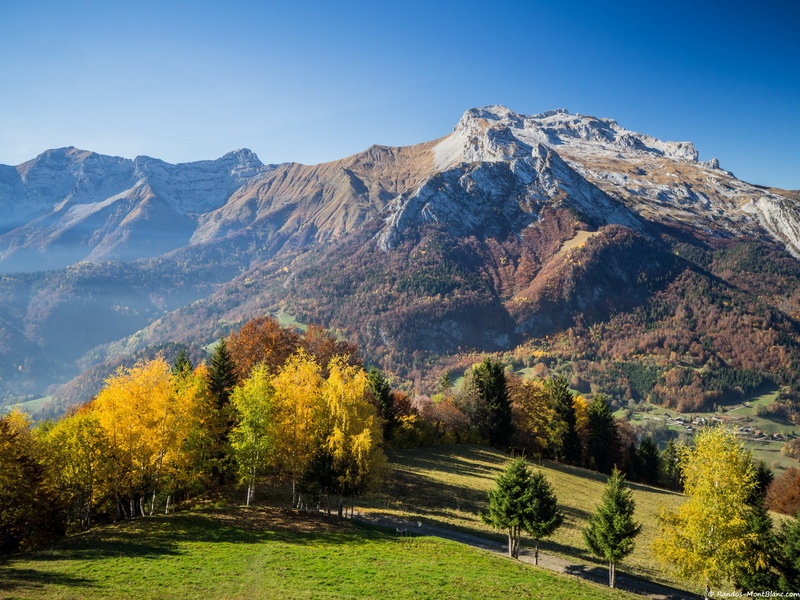 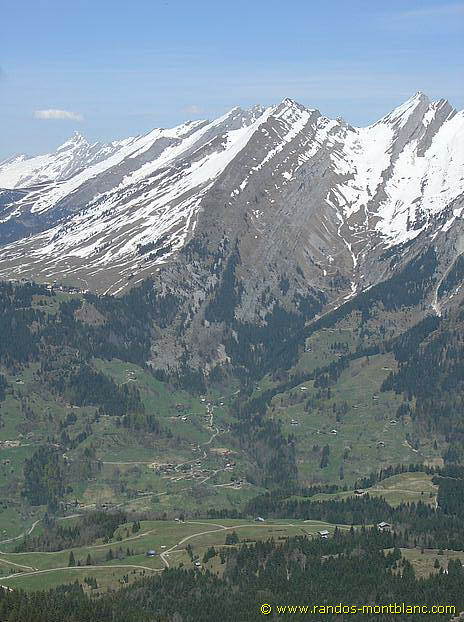 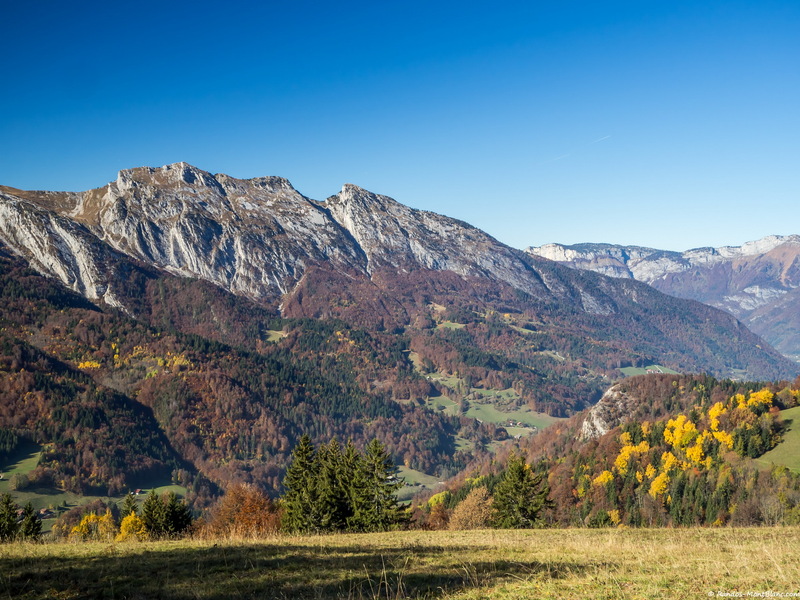 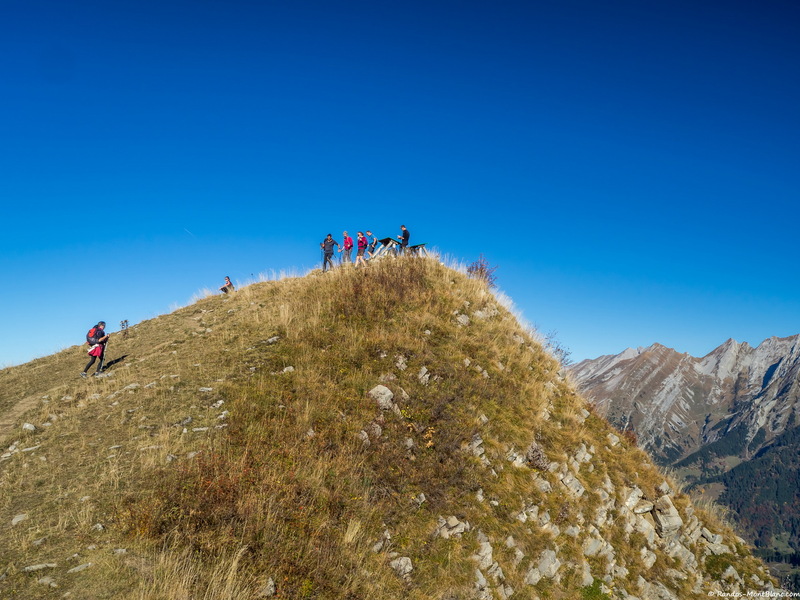 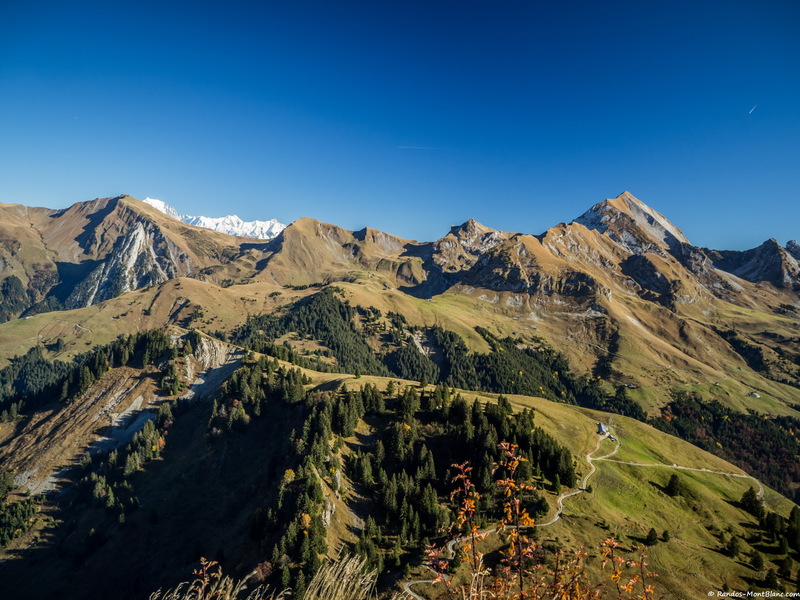 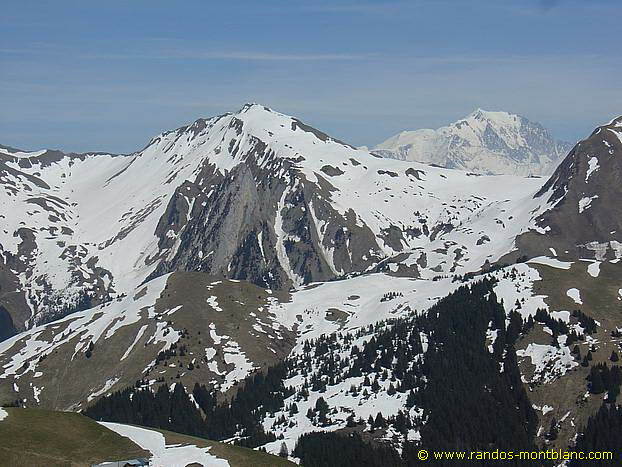 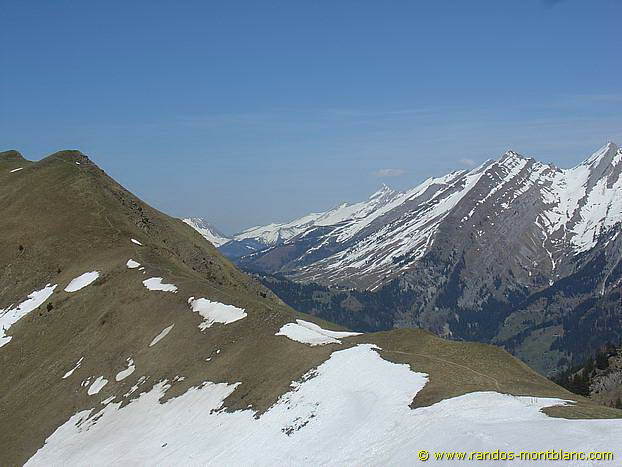 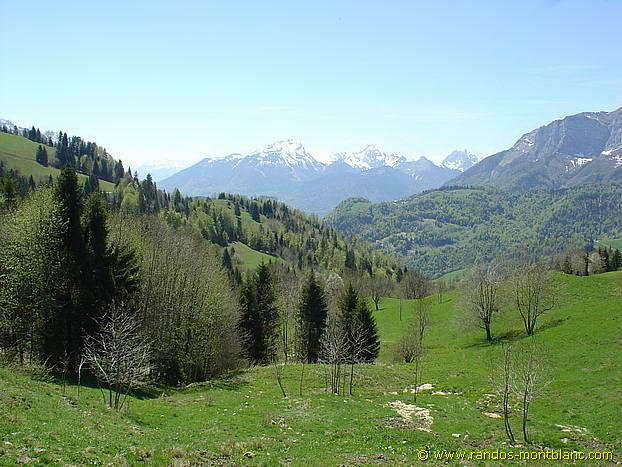 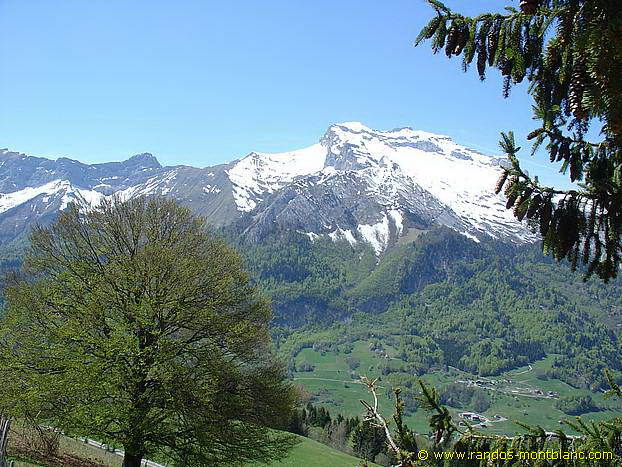 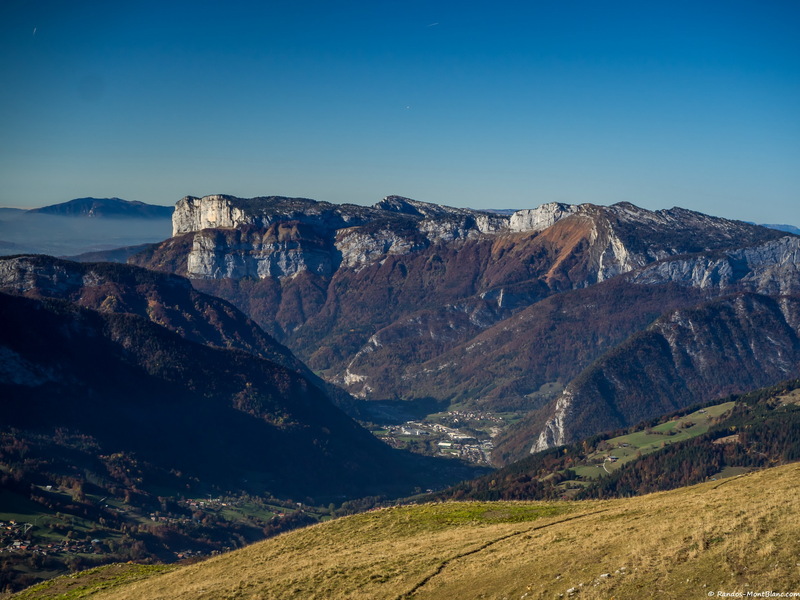 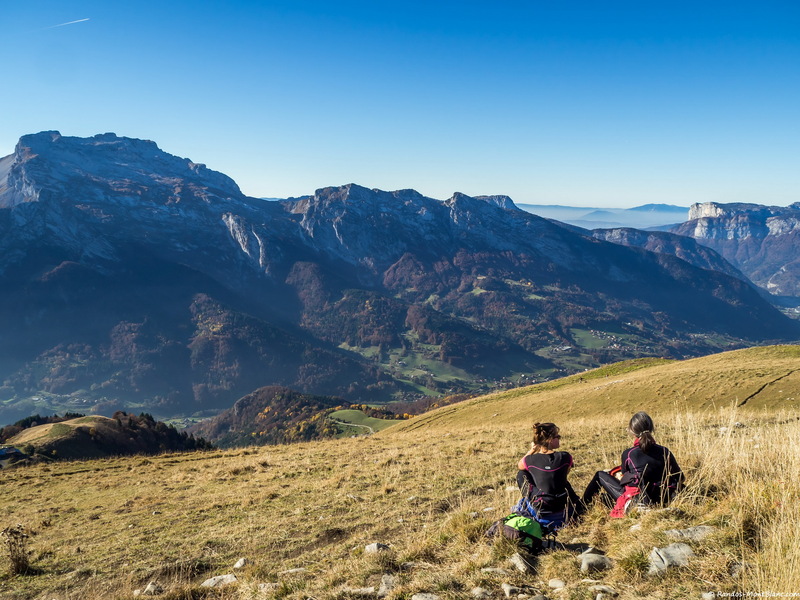 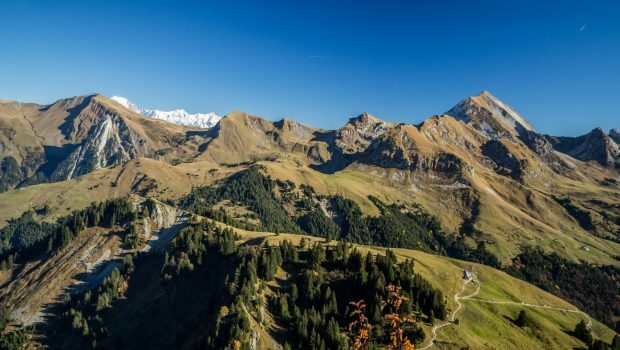 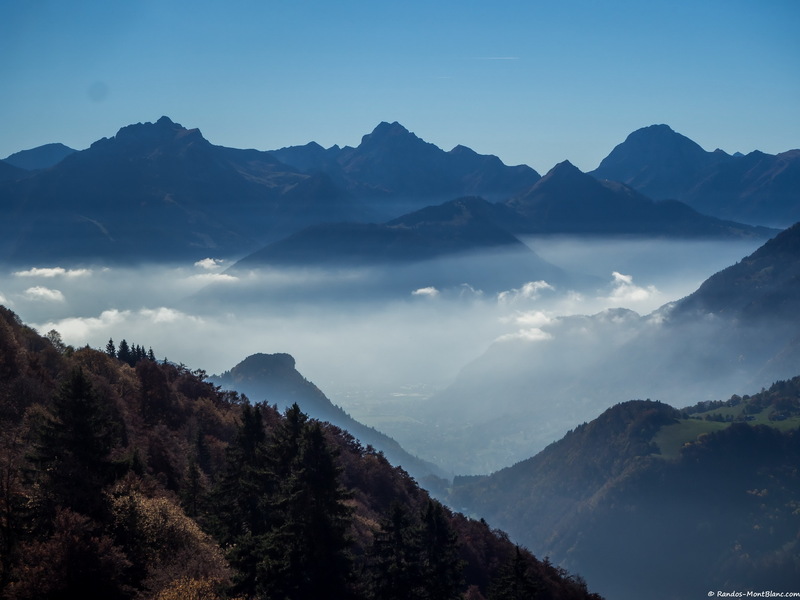 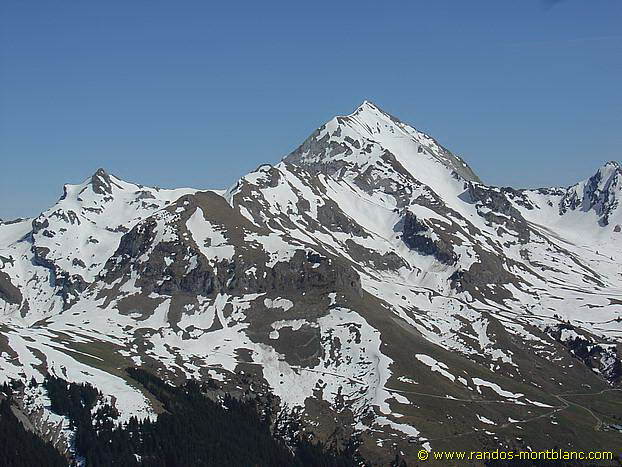 Located between Mont Charvin and Tournette, Montagne de Sulens offers a magnificent panorama on the Aravis Range, as well as the Bauges, Bornes, and Tarentaise Massif. 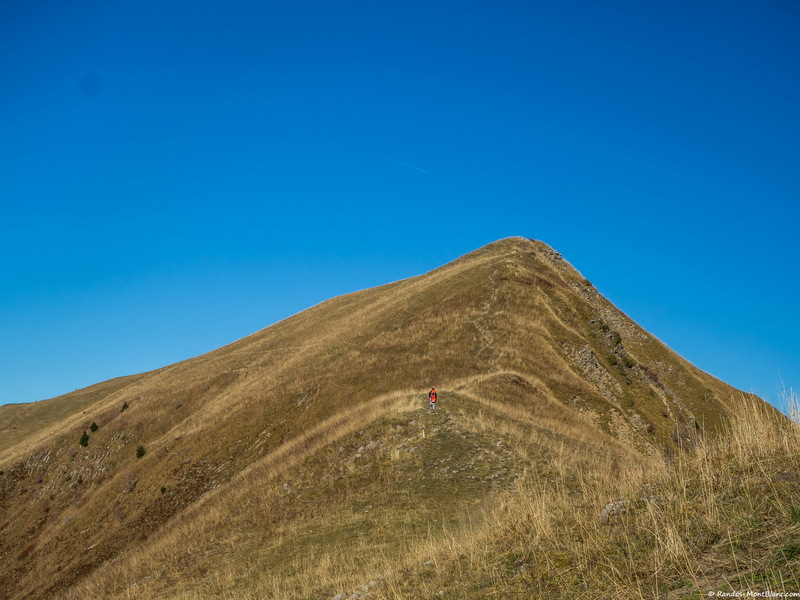 The hike doesn’t have any technical difficulties except the path that is sometimes hard to follow in its upper part just before the Col de Sulens. 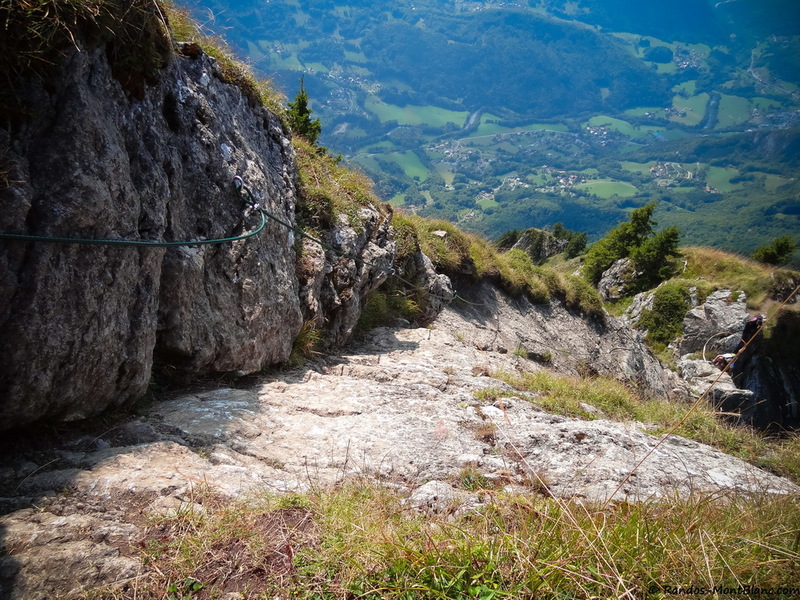 Take the path indicated by the sign “Montagne de Sulens – 2 hours” on the right-hand side of the track. 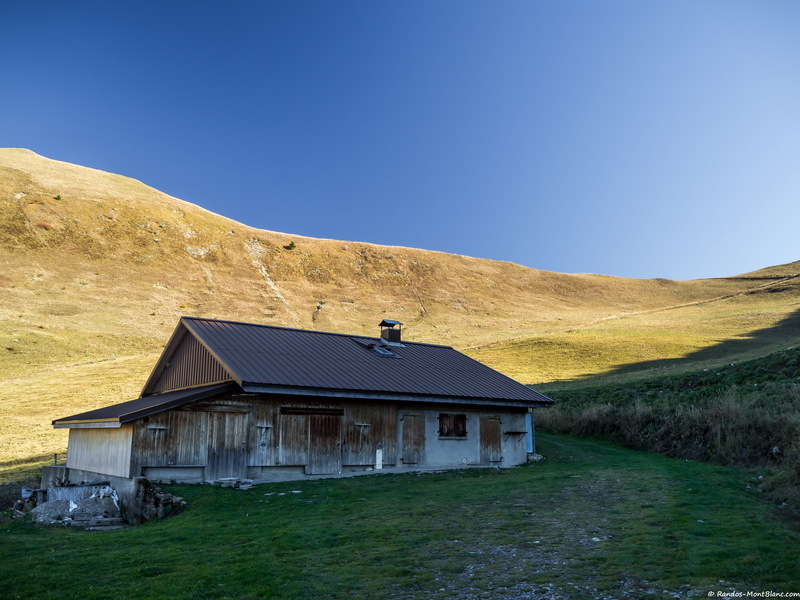 After about ten minutes, one can see a large chalet inhabited throughout the year. 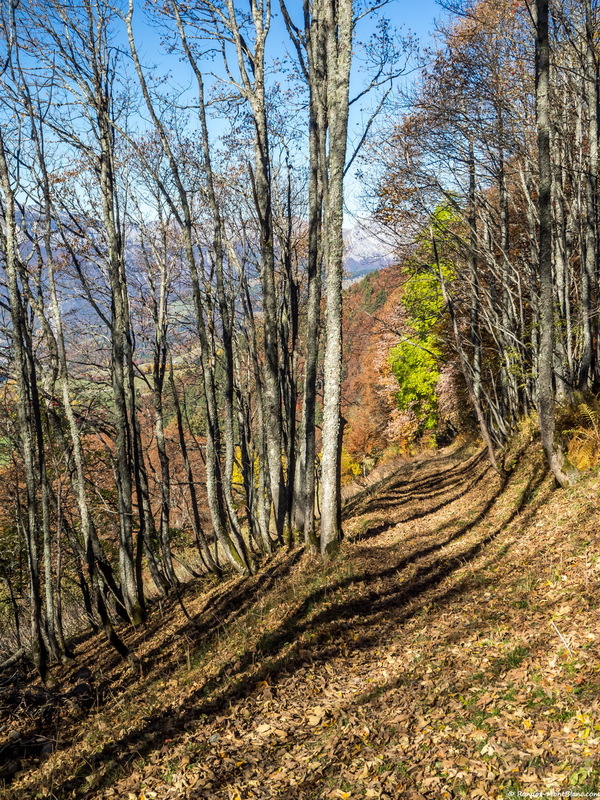 Turn right to take the path that goes in the direction of a steep slope to arrive at a little wood that one has to traverse. 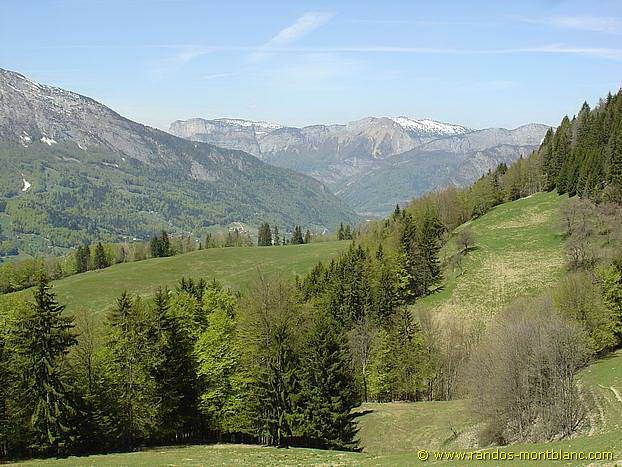 When you come out of the forest, turn right then left to get to a grassy crest. 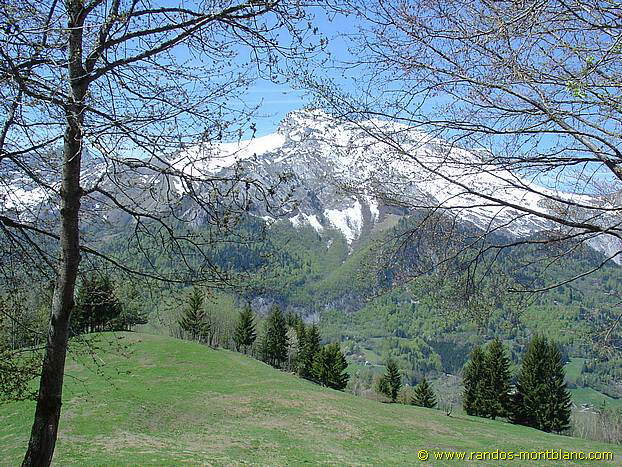 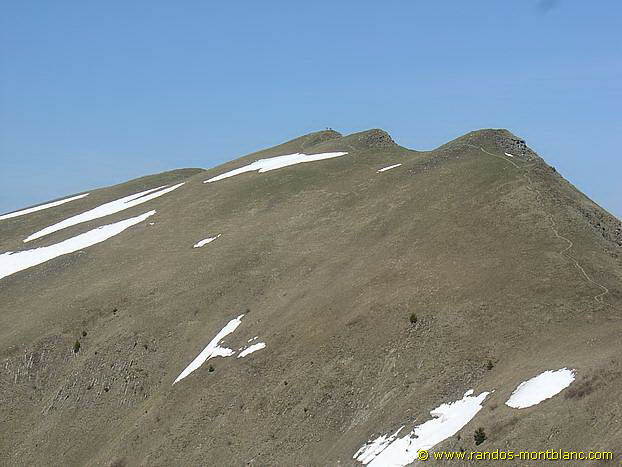 The Col de Sulens is located a bit further down behind this crest that one has to climb. 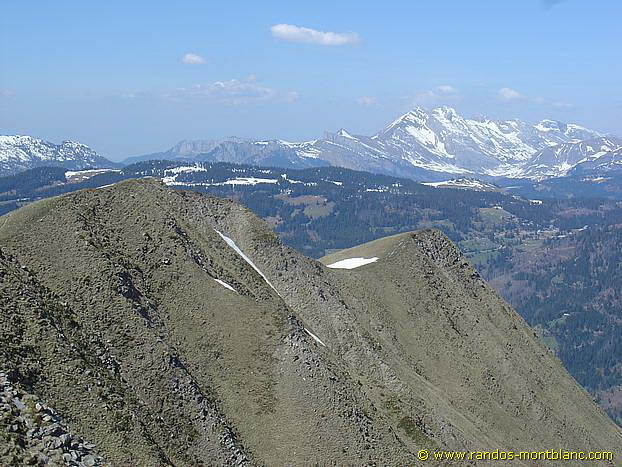 The summit is now in sight; after a short descent to reach the Col de Sulens, an uphill slope gets to the top in about fifteen minutes. 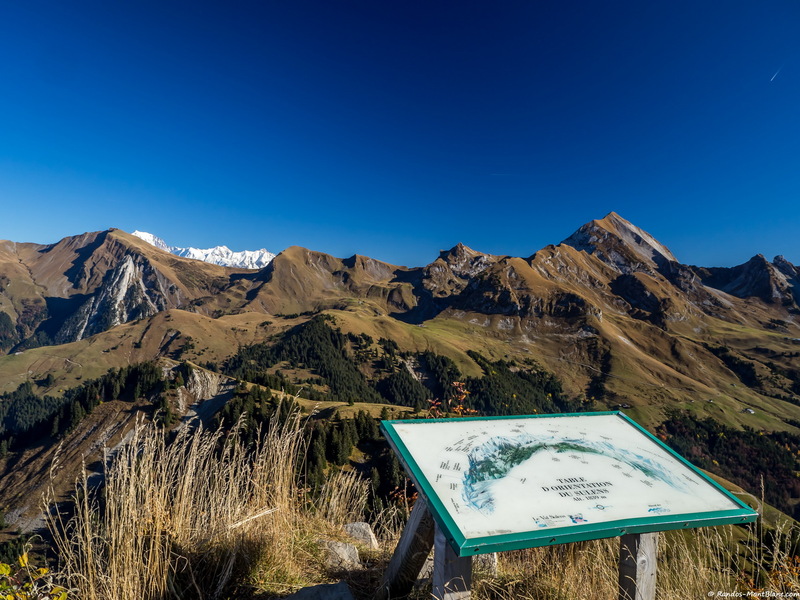 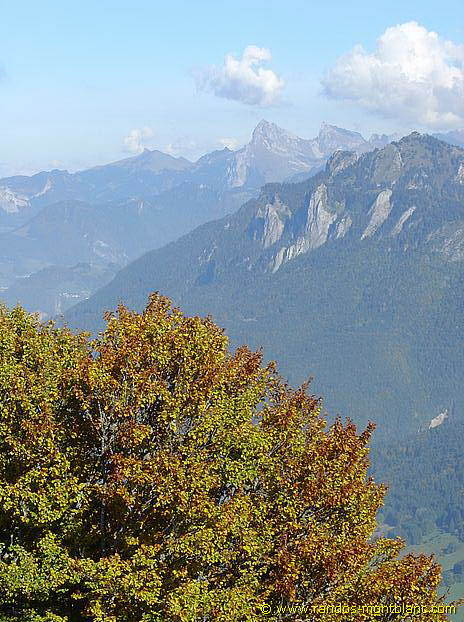 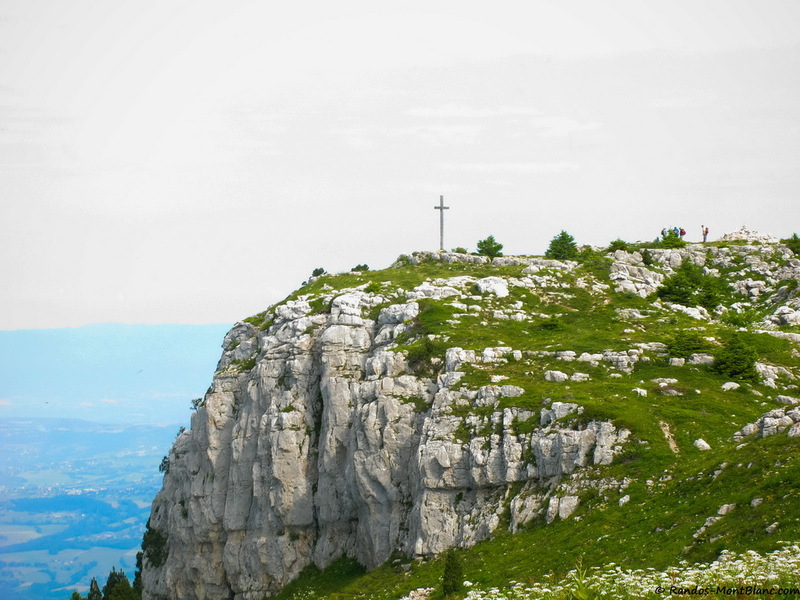 Two viewpoint indicators give a 360° view of neighboring mountains such as the Aravis Range, the Bauges, and Bornes Massif, as well as the Bargy and Tournette. 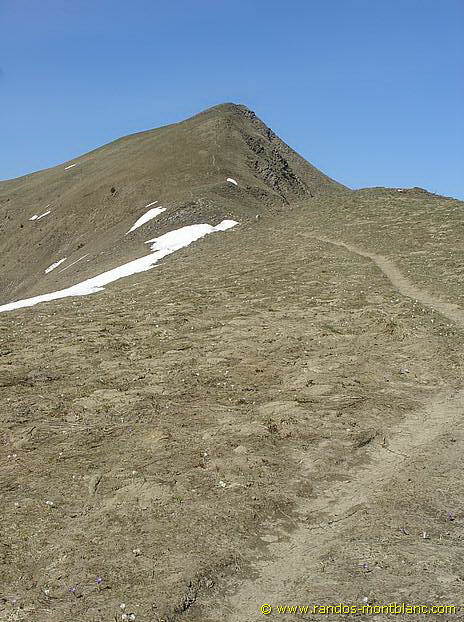 Take the path used during the ascent. 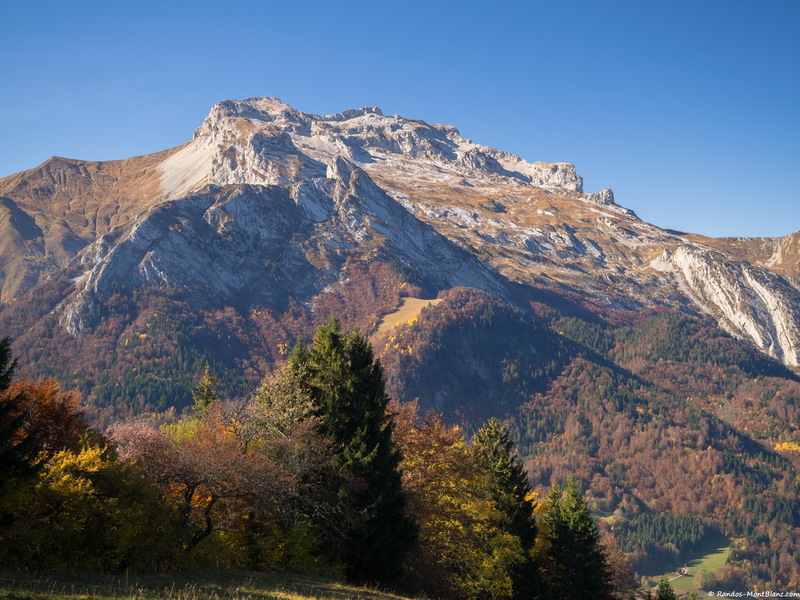 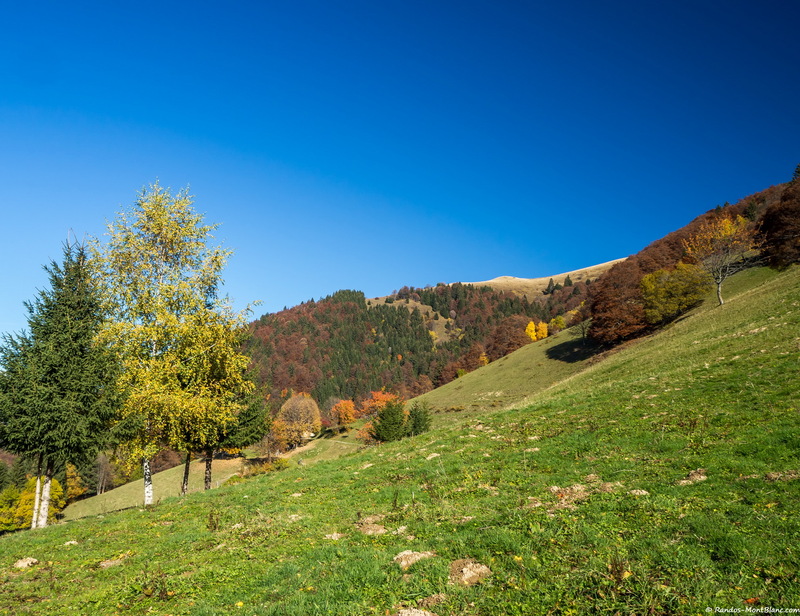 It’s possible to take an alternative route going to Chalets de Sulens situated on the western side of Montagne de Sulens. 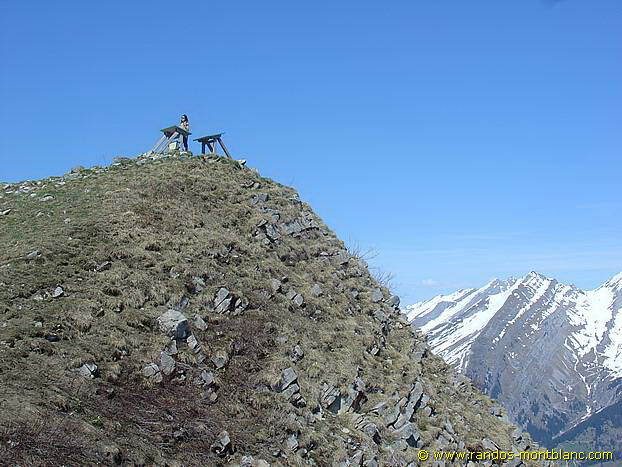 This itinerary is less steep, albeit a bit longer. 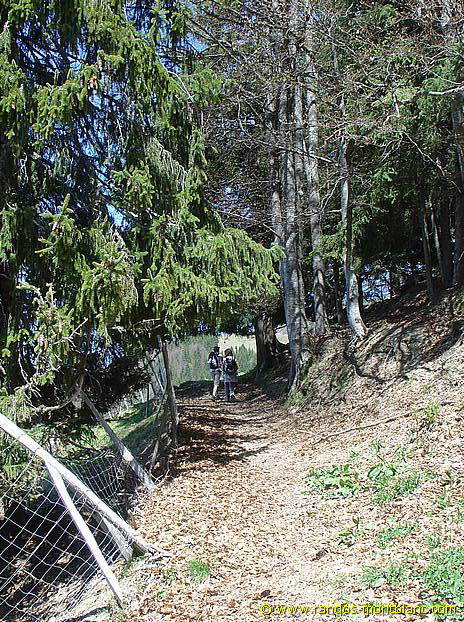 Once arrived at Chalets de Sulens, turn left to take the path reaching the one taken during the ascent. 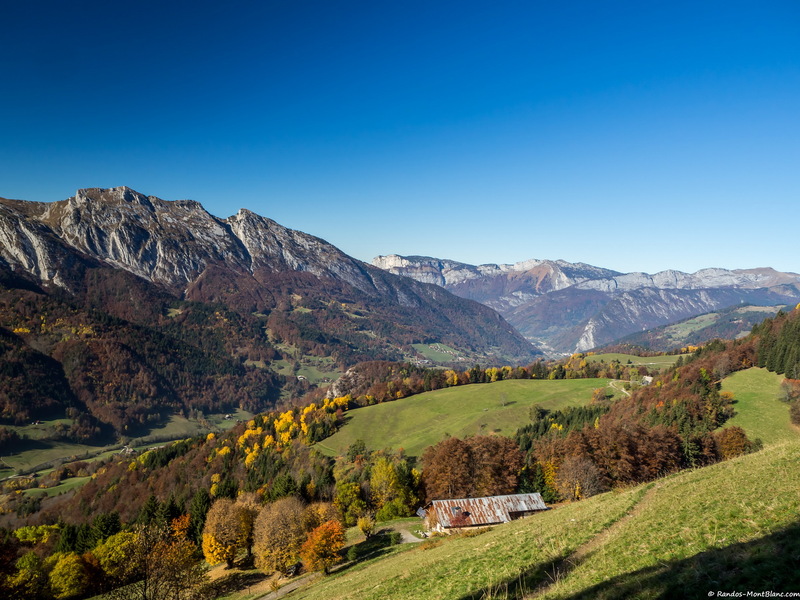 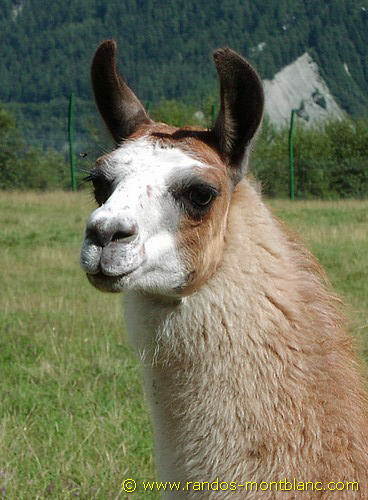 For hikers fond of cheese, it’s worthwhile to mention that one can find great organic reblochons in a farm located in Le Mont.